This warm and colorful country is one of the most popular travel destination for tourists from entire Europe. Nothing surprising in that, cause Spain has not only great weather and atmosphere, but also plenty of interesting monuments. Sometimes we can have difficult time to decide, which city is the best for our future holidays. Probably the most popular location in Spain is Barcelona. This amazing metropolis it fame owe to Antoni Gaudi, vanguard architect. His work, which is mix of Secession, Gothic and Catalan style is true signature of the city. While being in there you will have a chance to see Sagrada Familia, amazing cathedral filled with glassy stones and shells. Another piece of Gaudi is Casa Milla, a mansion in shape of ocean’s waves. Entire Las Ramblas, the most popular street in there, is covered with architectural elements, also designed by Gaudi. Another advantage of Barcelona is Pablo Picasso’s Museum, the biggest collection of this artist’s painting on entire planet. Even if the capital of Spain is not located close to the seashore, still millions of tourists is visiting it each year. Nothing surprising in that, cause Madrid is also filled with amazing architecture. People, who like Classical architecture need to take a tour around Prado Museum, amazing building constructed in the end of eighteenth century. Museum itself is great collection of the most notable artists from Europe. You will see in there masterpieces of Velazques, Goya, Poussin and Bosch. Another good example of Classical style in Madrid is Royal Palace, main quarter of Spanish King since eighteenth century. About half hour from the city center you amazing monastery Escorial is located. This huge complex of sacral buildings were constructed in 16th century, it is great example of Renaissance and Baroque architecture. 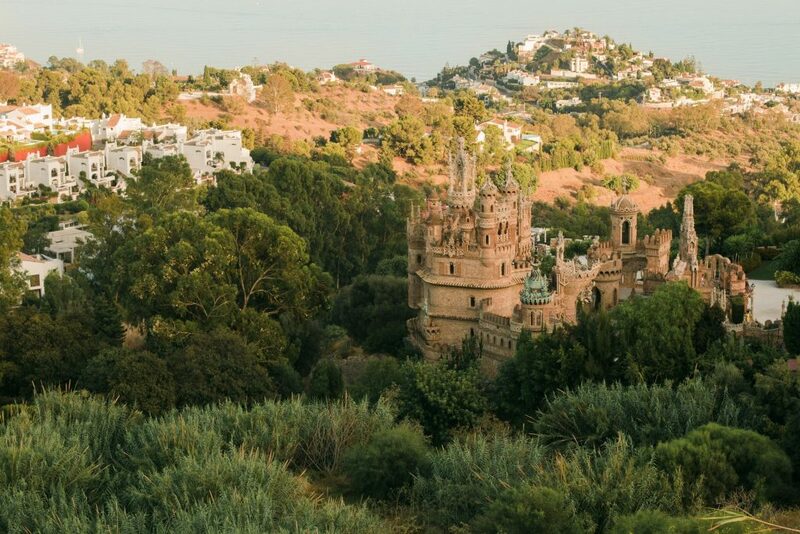 Another great vacation destination in Spain is Seville, the capital of Andalusia. This region is situated more on the southern side of the country, that’s why you can visit it almost whenever you wish. In this city you will find one of the most amazing examples of Gothic architecture – the Saint Mary Cathedral. This is also the biggest Gothic church in entire world. Next interesting building in Seville is Alcazar, one of many residents of royal family. It use to be very important spot, a lot of crucial decisions were made in here. It is interesting example of Mauritian architecture, cause at start the Alcazar was made for Caliphate of Cordoba.